The whiskey experts of the world would tell you that the type of casks used on a whiskey can influence anywhere between 60% and 80% of the eventual flavour. The master cooper in any distillery is one of the most essential people in the production process. The basic premise of a cask has changed little in the centuries since it’s inception – if it ain’t broke don’t fix it! Barrels are sturdy, with a small surface area when rolled on their side, making it easy for workers to move barrels weighing hundred’s of kilos. One of the greatest boons for the world whiskey industry are the American rules surrounding the aging of their own ‘bourbon’ spirit. To be called bourbon the spirit must be aged in virgin, charred oak casks. This results in thousands upon thousands of used American bourbon casks unusable in states,which are then sold onto the world market to age that delicious whiskey we’re all so fond of. In order for the spirit to be called Irish whiskey it must be both distilled in Ireland and stored in an oak cask, not exceeding 700 litres, for three years and one day. The one day was added since the problem often emerged that distillers couldn’t quite remember exactly which day they’d laid the cask down so an extra day was often added for safety. The use of oak is extremely important since oak is a pure wood that boasts a lack of resin canals present in pine trees or rubber trees. These resin canals are undesirable in the aging process since they would impart strong and possibly unpleasant flavours to the maturing whiskey. Oak passes on beautiful flavours such as vanilla and coconut flavours into the whiskey. When we factor in the depth of flavours added by using casks that previously held things like bourbon or oloroso sherry the possible flavour profiles are endless! Aging takes place in the barrel because alcohol is a solvent that breaks down elements in the wood overtime. In summer the heat causes the liquid to expand into the pores of the cask, and then in winter it returns to liquid form in the casks, incorporating the flavours in the wood. This happens on a small scale during the diurnal cycle each day, thus the whiskey is slowly filtered through the wood absorbing all those latent flavours. Smaller barrels can be used for quicker ageing, since this increased the ratio between the wood and the liquid inside. Every type of spirit has its own culture of barrelling, from rum and wine to cognac and sherry and whiskey is no different. There are too many conventions to list that dictate how casks are selected, used, stored and manufactured but firms have begun to experiment far more in recent years. In a large but over saturated market, brands often strive to be different to stand out. Many U.S distilleries have begun to develop more adventurous methods, using alternative woods to alter flavour. The U.S has been at the forefront of experimentation and the growth of craft distilling in the states has accelerated this. These whiskies can’t be labelled as bourbon but other names like ‘Straight American Whiskey’ or some other variant can be used. Jameson Caskmates is a prime example of this trend, a spirit which was aged in stout seasoned barrels in the People’s Republic of Cork’s Franciscan Well Brewery. Collaborations like this are becoming far more frequent, especially with the proliferation of craft breweries worldwide. When it comes to casks I wood expect distilleries to branch out into new variations in future, it’s really sprucing up the market in my opinion. Let’s hope this revolution really takes root and grows into a more diverse whiskey selection for foresters, whiskey lovers and everyone else in between. 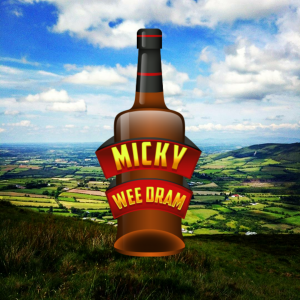 Don’t forget to follow me on Instagram @micky_wee_dram for more whiskey related pictures and opinions. Next Post I’ve got the Powers!